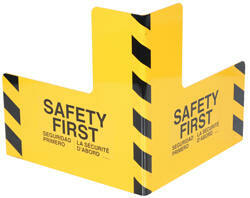 Protect busy corners, expensive machinery and personnel with 90° perpendicular protection. "SAFETY FIRST" promotion reminds personnel of the number one priority. 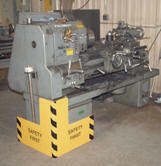 Steel units include a baked in powder coated yellow finish for added toughness.